All tabletop gamers start off as beginners, and before you jump into a days long RPG, you should play some other games to test the waters. These are some great games to do just that. Love Letter is a very simple game with very few pieces involved. The goal is to either have the highest numbered card or expose your opponents to win. You can read a full review of this game here. Sushi Go is a deck building, strategy game that is much simpler to understand than other deck builders. You pass cards around, trying to get the most points possible. However, there are numerous different ways to get points, so you need to watch what your opponents are doing. You can read a full review here. 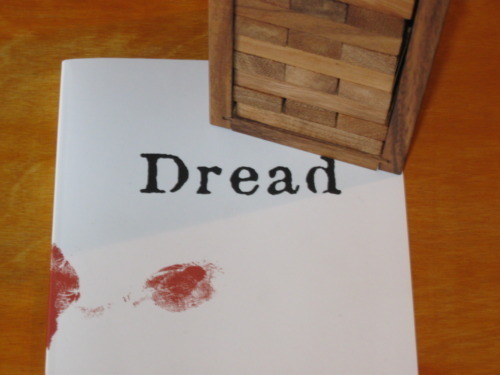 If you want to explore the role playing game universe, Dread is a good start because you don’t have figure out dice rolls and their success/failure. Instead, you pull from a block tower and if the tower falls, you die. It is a horror game, so expect spooky and stress, but fun as well. You can get the game book here. Ticket to Ride is all about matching card colors to the routes on the board and completing connections. It’s a easy to play game with some strategy, and is good for families as well a adults. Also, the game is really easy to find, I see it at Target all of the time. Gloom is a story telling, card laying game, where you want your family to have the worst life, and make the lives of the opponents families happier. The game is all about telling a story, so you have to connect all of the misery together in some way, which makes it a lot more fun. The game can be found at your local game store or Amazon with the links. Read my full Gloom review. What is your favorite tabletop game? Let me know below! Going to have to check out the story telling games specifically. We LOVE Ticket to Ride and Carassonne is a favorite of ours too. I played Gloom for the first time over the summer, and I LOVED it. Such a hoot. I’ll have to check out Dread. It sounds fun! Love all of these games. We play so many of them at my parents when we have family get togethers. Especially Love Letters. So fun! I have played Coup. It’s really hard to play with only one other person and if you know each other too well, but I still like it. Ticket to ride is a such a great game, especially for those just expanding their game play. Gloom is also an interesting one to play -I enjoy the clear, stackable card mechanic of the game. Stone Age is probably one of my favorite table top games. If you’ve ever been stymied in your attempts to introduce the magical world of TableTop to your non-gamer friends, this here’s the list for you. We’ve picked out ten awesome games that are just as fun for the unseasoned as they are for all of you dice-hardened card sharps out there. Think we missed something? Let us know in the comments. We d love to learn about your favorite gateway games too! Game of Thrones is big fun, if very time-consuming and complex. I also virtually never get to play it as it requires so many people to be balanced and feel right. Ticket to Ride and Betrayal at House on the Hill are my go-to “casual” games because they can be played in a short sitting and you can have lots of fun with them 🙂 . Then there’s Battestar Galactica, which is a great game of resource management, tactics, priorities, and intrigue. Oh, and Europe Engulfed. Deep and complicated WWII strategy game that uses wooden blocks for units. The blocks have stickers on one side and are placed upright on the table so that you see the sticker and your enemy sees the back side of the block, so that they don’t know what units you have until they engage you. Time-consuming, but big fun.